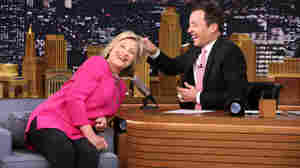 September 17, 2015  Clinton has struggled to seem at ease on the campaign trail given the controversy surrounding her use of a private email server as secretary of state. She broke through that Wednesday night. 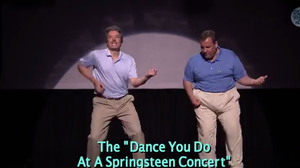 June 13, 2014  The New Jersey governor showed the Evolution of Dad Dancing with host Jimmy Fallon. February 18, 2014  The new host's first show is getting good reviews. 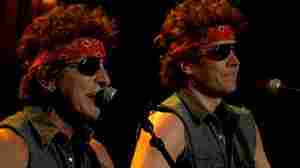 He pledged to "do the best I can" and collected on some "bets" from friends such as Robert De Niro, Lady Gaga and Stephen Colbert who had supposedly bet he'd never take over from Jay Leno. 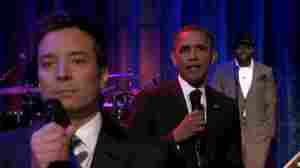 May 12, 2013  He takes over from Jimmy Fallon, who's tapped to replace Jay Leno on the Tonight show. 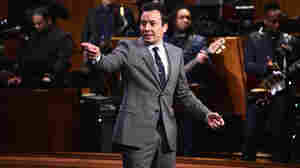 Meyers, the longtime SNL cast member who anchors the show's "Weekend Update" segment, will take the 12:35 a.m. segment from Fallon. 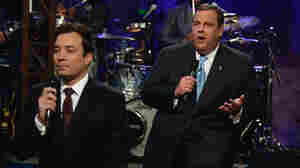 April 3, 2013  This time the switch will stick, Leno insists. 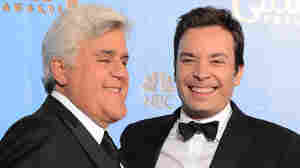 Unlike the ill-fated handoff to Conan O'Brien, this time Leno has been involved in the plans. 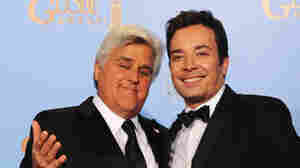 March 20, 2013  Jimmy Fallon is on track to replace Jay Leno as host of The Tonight Show on NBC in 2014, according to reports in The New York Times and The Hollywood Reporter.